This page contains all our collected Canon 7D and 7DSV information. 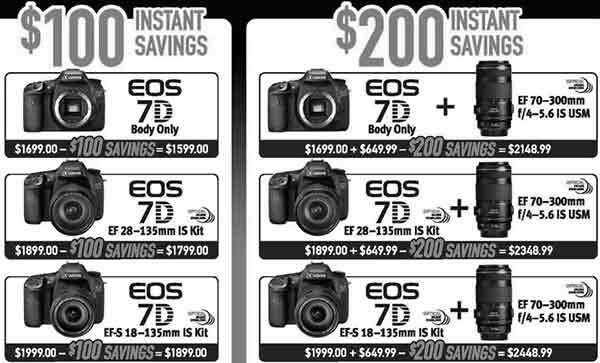 It includes pre and post announcement information, from the initial launch of the EOS 7D in September 2009. 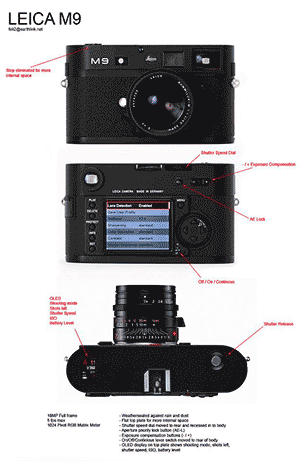 There are links to reviews and update information, including the Summer 2012 firmware update to version 2 which significantly enhances some aspects of 7D functionality. There are also links to some of Keith’s articles about aspects of the 7D, written after borrowing one from Canon UK for a short while. 7D ISO noise test – 1/3 or whole stops? 20th Canon article about using the new firmware. 16th Some discussion of cameras ‘freezing’ after the firmware update at [DPR] – lot’s of people also happy with the update. Firmware v2 now offers greater control of image settings and functionality, including a higher maximum RAW burst rate, now up to 25 RAW files or 130 JPEGs. Giving photographers greater control over images directly after capture, a new range of in-camera editing functions includes processing of RAW files, as well as the ability to easily adjust white balance, sharpness and Picture Style. Enhanced control over Auto ISO levels during both still and movie shooting now allows users to limit ISO speeds to within the native ISO 400-6,400 range, perfect for manipulating exposure in different situations. During movie shooting, amateur videographers will also benefit from new manual control of audio levels, with the ability to choose from 64 different sound levels. New compatibility with Canon’s high-performance GPS unit, the GP-E2, enables photographers to track the locations of their images using longitude, latitude and altitude geo-tagging. 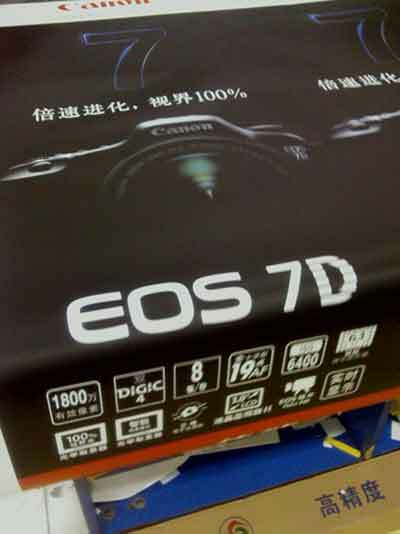 5th The manual for the 7D has been updated for the new firmware features. 8th Canon announce new 7D firmware on its way. In the EOS 7D the maximum burst of RAW file frames was 15 – with the firmware update this will be significantly increased so that the camera’s buffer will handle up to 26 RAW frames in a continuous burst. Within the camera’s image-recording menu with all JPEG images you will be able to resize the image (for image downsizing) and save it as a new image. Note that the aspect ratio cannot be changed. I’m presuming this was announced after the specs of today’s new 650D/T4i started getting a bit close to the 7D? 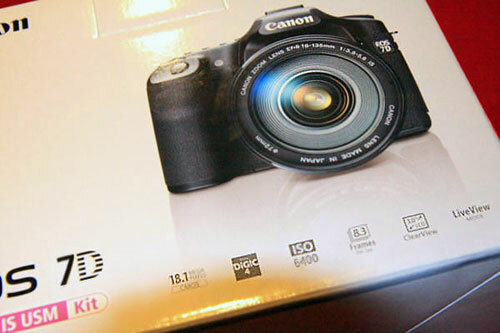 21st Canon seems to have pulled a V1.2.5 release of 7D firmware – we’ll provide a link once it’s back on their servers. – Improved the writing/reading speeds when using UDMA 7-compatible CF cards. 1st Canon in Japan have announced a hardware upgrade for the mode dial of the 7D [RG] It’s similar in design to the one on the EOS 60D, including a centre button that, only when pressed, allows the dial setting to be altered. 27th Updates to reviews list. Eligible product(s) must be purchased by an end user customer from a participating authorized Canon U.S.A. dealer or reseller in the 50 United States, the District of Columbia or Puerto Rico between October 3, 2010, and November 24, 2010. This actually started to ship a while ago… [RG] where there is more detail about just what it does. Firmware Version 1.2.1 incorporates the following improvements and fixes. 7th Possible new V1.2 firmware seen [POTN] – no news on functionality of fixes. 23rd Another CFR review, but this time in weather much colder than we get here. 12th Buildings in the fog – a quick test using TS-E17 on the 7D. 5th Out with the 7D – a short ‘hands on’ from Keith. 4th Good AF test at PPH above. 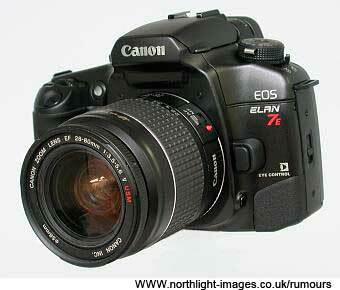 We currently have a 7D from Canon and are writing 7D blog articles about various aspects of the camera. 20th A good quick study at PPH shows why you should always be wary of ‘conclusions’ in reviews. 31st Video 7D/5D rolling shutter comparison. Updates to links. 27th Canon US announcement about rare issues with ‘afterimages’ in burst mode. Firmware fix on its way. 23rd A few people with AF consistency issues find that a hard reset of the camera fixes things [DPR] – that’s where you remove both the main and clock battery for a while. Corrects a phenomenon where in rare instances, movie images shot by the camera may exhibit abnormal colours. Corrects a phenomenon that at certain timings, the shutter cannot be released when the camera’s built-in flash or an external Speedlite is used for shooting. This firmware corrects a phenomenon that in rare instances, the shutter cannot be released after the AF assist beam fires when the camera’s built-in flash or an external Speedlite is used for shooting. Firmware Version 1.0.8 or later addresses this phenomenon. 26th Numerous locations having initial stock – we’ll try and keep the list of reviews and info updated with new info as we find it. 24th Park Cameras in the UK tell us that first shipments are due tomorrow (25th) Samples updated. CPN technical article listed. Jessops (UK) are also claiming to have stock. A brief review appears at LL. 18th More previews. Note, all are of pre-release cameras at the moment. 14th We’re on holiday, so just a few updates. 1st – We’re updating the 7D page and will be adding info as it’s sent in. A magnesium alloy body offers environmental protection – the tough, lightweight construction is designed to defend against moisture, and dust – equivalent to the legendary EOS–1N. AF activated by shutter button: If you want AF, the factory default for the EOS 7D is to just press the shutter button half-way down — the same as you would when shooting stills. AF can be moved strictly to a rear button if you prefer, via the 7D’s extensive new control customization. Manual exposure control during video recording: It’s built-in, right from the get-go. Set the camera to video recording mode, and turn the Mode Dial to “M”. Now set any aperture that’s possible with your lens, any shutter speed from 1/4000th down to 1/30th or 1/60th (depending on frame rate — more in a moment), and any ISO you like from 100 through 6400. For users who may want “frame grabs” at fast shutter speeds, provides twice as many images to select from. LAKE SUCCESS, N.Y., August 17, 2010 – For wedding and portrait photographers, one of the most enjoyable parts of a project is the actual photographic element with the laborious work starting when the time comes to organize files, edit and ultimately provide the finished product. To help make this process less cumbersome, Canon U.S.A. Inc., a leader in digital imaging, today announced the launch of a new EOS 7D Studio Version DSLR Camera, ideal for professional school and event photographers which features four levels of “locking” camera controls for studio environments. In addition to the “locking” feature on the new EOS 7D Studio Version, the Company is also introducing a Canon Barcode Solution, which links customer data directly with the image file so that it can be maintained throughout the entire workflow process, ideal for school photographers, forensic and medical photo workflows. Canon’s new “Locking” EOS 7D Studio Version DSLR allows administrators to disable unwanted features and settings thus providing professional studio operators the comfort of knowing the end result will be both reliable and repeatable. The camera has four different “lock” levels allowing administrators to enable the appropriate level of camera functionality for any studio operation. Custom functionality management is also achieved through each level by unlocking individual features according to operator-specific needs. This complete level of control is guarded by a daily password preventing anyone with a different vision from changing the camera settings and disrupting the overall project and workflow. The new Canon Barcode Solution for the new EOS 7D Studio Version cameras helps to automate the data management required when shooting, processing and delivering images for school photoshoots and other large scale events as well as organizing medical images while maintaining patient anonymity. Once the barcode option is enabled, customer, organizational, patient and/or other data will be embedded directly into the image file’s EXIF data by scanning a barcode for easy identification when reviewing the completed work. While shooting, the actual reading of barcodes can be easily managed and, based upon each person’s workflow, the critical task of file management is accomplished with less risk of error. Upon completion, a visual confirmation will appear on the camera’s rear LCD screen. The EOS 7D Studio Version kit includes Canon’s WFT-E5A unit, which along with an optional barcode reader can scan and seamlessly manage image and customer data through a “wired connection”. A wireless system configuration is also possible through Canon’s BU-30 Bluetooth adapter further adding to the system’s convenience and functionality. Existing WFT-E5A units require a firmware update to work with Barcode functionality. This update will need to be done at a Canon USA Factory Service location if the customer wishes to use a previously purchased WFT-E5A unit. If the customer chooses this option, the ability to read and embed GPS (Global Positioning System) data will no longer function. 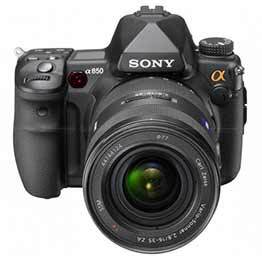 Coupled with a new “Locking” EOS 7D Studio Version Digital SLR camera, photographic operations both large and small can ensure reliability and efficient workflow for whomever is using the camera. The new EOS 7DSV (Studio Version) Barcode Kit (EOS 7DSV and WFT-E5A with firmware change) will carry an estimated selling price of $ $2599. 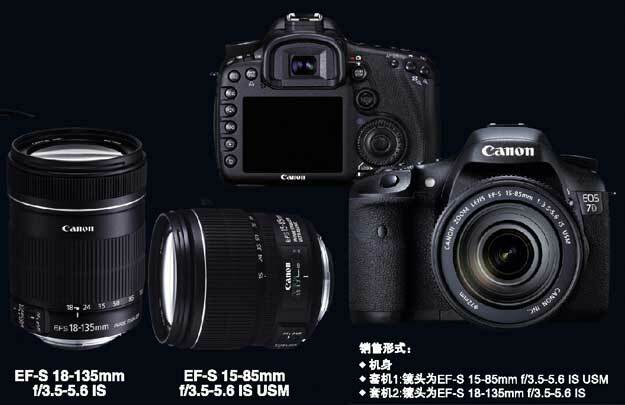 The EOS 7DSV (Studio Version) Body Only will carry an estimated selling price of $1829. Both are available by special order through select Canon authorized dealers. The following Barcode Scanners are compatible; Honeywell 3800, Honeywell 3820, for scanning via bluetooth and Honeywell 4600, for scanning 1D and 2D barcodes. 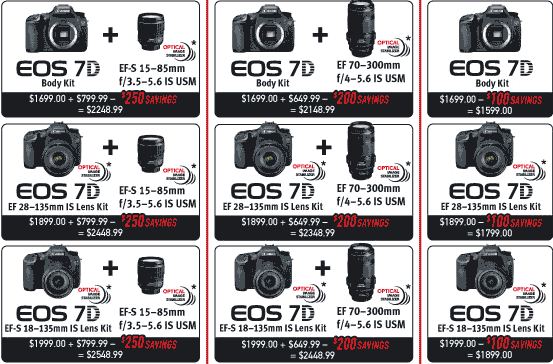 All inquiries and questions regarding Canon’s EOS 7D Studio Version DSLR or Canon’s Barcode Solution can be directed to ProSolutions@cusa.canon.com. The EOS 7D includes a new 18 megapixel CMOS sensor with a wide ISO range that delivers excellent results in both the low and high-speed ranges as well as improved image quality. The sensor is a standard APS-C size (22.4×14.9mm) and produces an effective field of view of 1.6x the lens focal length. The EOS 7D sensor features condensed circuitry with improved sensitivity and increased capacity of the photodiodes, which enables shooting at high ISO and prevents overloading when shooting in bright conditions. The ISO range (100 – 6400) is expandable to 12800 enabling photographers to capture subjects in their natural light without the use of a flash. 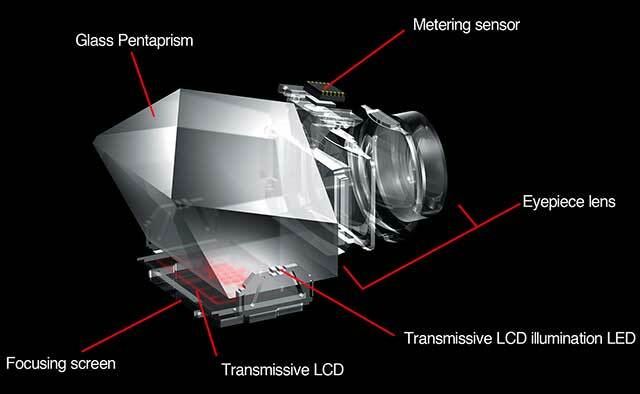 The EOS 7D sensor includes gapless microlenses that have been moved closer to the photodiodes. These technological advances, which were developed and manufactured by Canon, improve the signal to noise ratio creating very clean high ISO images. The AF system has been completely redesigned using the same architecture as the EOS-1 series and includes a separate processor to handle AF calculations. This, along with AI SERVO II AF, enables the EOS 7D to offer accurate, reliable and continuous shooting at 8fps. Uniquely at this level, all 19 points in the EOS 7D AF sensor are cross-type points with f/5.6 or faster lenses, which allows sophisticated tracking, accuracy and performance throughout the frame. 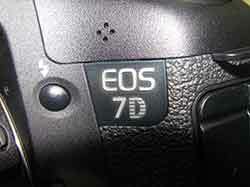 EOS 7D also includes Spot AF, a new mode that uses a smaller area of the sensor to determine focus. This is useful for small subjects where there is background detail that can distract the AF sensor. It also includes Zone AF which limits automatic selection to one of five zones. This allows photographers to ensure their subject is automatically selected. The iFCL system uses Focus, Colour and Luminance information to determine consistently exposed shots. All focus points provide distance information to the metering system to determine proximity to the subject and allow the algorithm to weight the exposure accordingly. EOS 7D has a completely new metering sensor with 63 zones compatible with 19 AF points. Typically, metering sensors are more sensitive to red subjects which can lead to overexposure. EOS 7D combats this with the dual layer sensor, which has one layer sensitive to red and green light and one that is sensitive to blue and green light. The metering algorithm then compares the level of the two layers and adjusts the meter reading accordingly. The EOS 7D features a high quality viewfinder with 100% coverage and 1.0x magnification – a first for EOS – making it simple and ease to use. The viewfinder uses a prism, coating technologies and eyepiece lenses inspired by the EOS-1 series. EOS 7D viewfinder does not have interchangeable focussing screens. In their place is a Transmissive LCD Screen – another first for EOS. Through technological advances Canon has been able to implement the screen whilst maintaining viewfinder image quality. This new feature, which can be illuminated in lowlight, enables grid, spot metering and AF points to be superimposed upon demand. EOS 7D is fitted with Dual “DIGIC 4” processors; the power of the processors enables more advanced processing algorithms allowing the camera to achieve a high performance 8fps at 18 megapixels. DIGIC 4 removes the highly noticeable colour noise as well as reducing luminance noise without loss in detail, allowing for very clean high ISO images. Even at ISO 6400 noise levels are similar to those of ISO 1600 from DIGIC III. Auto Lighting Optimiser is now also available during manual exposure, without any drop in performance. DIGIC 4 also allows UDMA cards (mode 6) to be used at their full speed, which allows the EOS 7D to take advantage of the fastest cards available. EOS 7D’s 3 inch LCD monitor has 920,000 dots (VGA resolution) with a viewing angle of 160°. Clear View II has been designed to combat glare by removing the air-gap between the LCD’s protective cover and the liquid crystal. 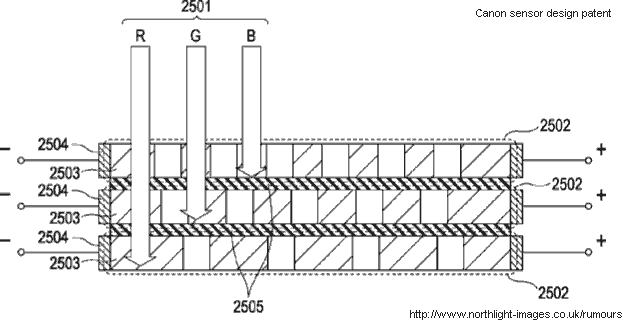 The air-gap is filled with an elastic optical material. This has the affect of suppressing the reflections from the surface of the liquid crystal, caused by the sharp change in refractive index, as light travels through the air-gap. In order to protect the liquid crystal from scratches the Clear View II LCD features a hardened glass cover material. As with the EOS 5D Mark II, an ambient light sensor on the side of the screen can set brightness automatically depending on the environment. The EOS 7D features a 19-point cross-type AF sensor, enabling photographers to achieve accurate shots and optimise composition options. This improved AF system offers a range of manual and automatic settings including Zone and Spot AF to track and capture subjects quickly and accurately. AF settings are highly customisable, allowing for rapid reaction to changes in the scene. Different AF points can be set for vertical or horizontal orientation, so photographers can automatically switch between landscape and portrait shots without touching a button.The EOS 7D also incorporates a new metering system. The Focus Colour Luminance metering system (iFCL) intelligently measures focus, colour and luminance, across 63 zones. 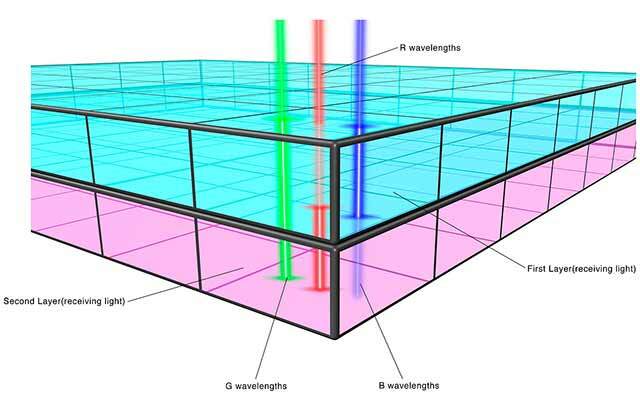 Complementing the 19 AF points, the dual layer sensor is able to gather information from each distinct zone to obtain a more accurate and consistent exposure. The Canon EOS 7D features an Intelligent Viewfinder that offers photographers 100 per cent frame coverage. With 1.0x magnification* – a first for EOS – photographers see a large bright image that helps to fully immerse them within the shot. 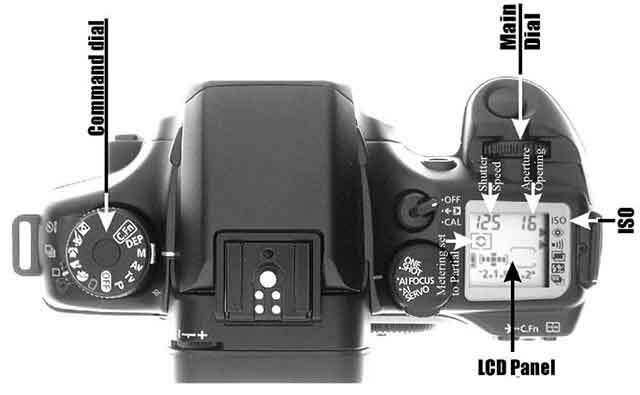 A transmissive LCD incorporated in the viewfinder allows photographers to choose between various overlay features – such as AF points, the spot metering circle and composition grid – providing a range of tools that help when framing a shot. The EOS 7D is also the first EOS to introduce a Dual-Axis Electronic Level – in the viewfinder and on the LCD – that indicates both pitch and roll angles. This feature is particularly useful when shooting landscapes to ensure a level horizon, or when used in conjunction with a Tilt and Shift lens to level the camera. 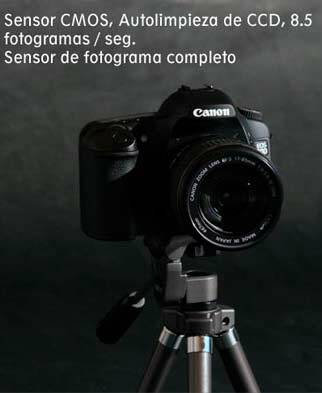 The Canon EOS 7D is equipped with an Integrated Speedlite Transmitter. For the first time in an EOS, photographers can control external Speedlites with no additional accessories – ideal for those looking to experiment with creative lighting set-ups. The EOS 7D also features an extensively upgraded, built-in flash including manual control, and wider flash coverage to cover focal lengths as wide as 15mm. New 19-point AF circuitry, allowing you to group AF points into 5 regions as well, all points are crosstype with f/5.6 or faster lenses, the center point is additionally sensative with f/2.8 or faster lenses. Exposure compensation is now +/- 5 stops, Also AEB has been improved but not sure how. Shutter based on the unit in the 5D Mark II, 150,000 cycles. Today, I’ve also published our lengthy review of the Canon iPF6100 printer on which I was testing the new Spyder3Print SR print profiling kit recently. For all those wondering about 18MP on APS-C – we have a recent article about Physics and limits on camera design – just remember that the oft quoted ‘diffraction limit’ is usually no such thing, just another factor to take into account when deciding on the appropriate aperture for the shot. A new box photo appears on a Spanish blog [BF] I’ve sharpened the photo to show up the lettering a bit more. Mind you, there’s already plenty of talk on forums about how bad the camera specs are – lots of naysayers pointing out how 18MP on an APS-C effectively means the end of the world. As you read through yet another 7D forum thread, why not tick them off as they appear? I see that some are still claiming it’s FF or APS-H… I think not. The lens information certainly suggests a body that takes EF-S lenses, but the poster/box leaves enough wiggle room for more suggestions (although I’m minded to believe it). BTW – Just published the first full review of the new Spyder3Print SR print profiling system. I know lots of people enjoy the rumours pages, but it’s the articles and reviews I put the most effort into. If you’re curious about colour management, do check some of the non rumour content here – hope you find it of interest. Note – once the 7D is officially announced, we’ll reorganise the rumours pages to give the 7D its own page. As ever, comments are never attributed, but I’m muchmore likely to print a rumour if people provide a return address (that works) and it is not littered with spelling mistakes.